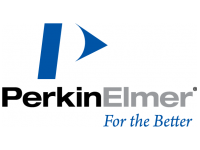 Signature Genomic Laboratories (SGL), a Perkin Elmer company, was founded in 2004 and is the first company to provide microarray-based testing for genetic anomalies in pediatrics and cancer. 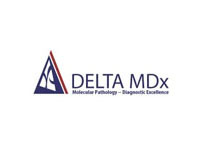 Our business has grown considerably over the years (an Inc. 500 fastest growing company in 2007, 2008, and 20098) to where we currently process over nearly 20,000 patient samples annually. Soon after starting the Company, we realized we needed to automate our process to accommodate our increasing sample volume while maintaining consistently high quality data. We were fortunate that SciGene was focused on engineering products to meet the unique requirements for automating the microarray workflow. We bought our first Little Dipper Processor from SciGene in 2005 to automate the laborious steps used for washing and drying our first generation BAC arrays. We acquired a second Little Dipper Processor and continued to use both after switching from BAC arrays to oligo arrays. We further improved our workflow by also incorporating the Mai Tai Hybridization and ArrayPrep systems from SciGene. 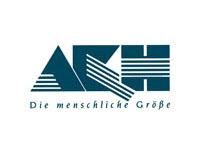 Recently, in 2009, we began using the Roche NimbleGen microarray platform and again made the transition while still using the same Little Dipper Processors to wash and dry up to 100 slides per day.? To date, we have processed over?30,000 patient samples on our Little Dipper Processors. We have worked with SciGene for many years and one event that occurred highlights their commitment to product innovation and support. After moving SGL the company to a location near the railroad lines near a train station in 2007, we began experiencing problems with our array data. We ultimately traced the problem to high levels of ozone in the lab from air pollution caused by the frequent trains that passed by. Fortunately, SciGene easily solved the problem by providing us with benchtop NoZone Workspaces to filter out the ozone. Our work with SciGene ultimately resulted in a joint publication on the effects of ozone on microarrays (J. Mol. Diagnostics 11;509 (2009). Our lab has been using CytoBond Sealant for over a year now and our techs love it. Only two months after trying it, we completely replaced our rubber cement with CytoBond. 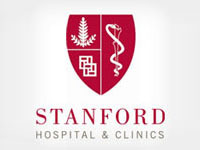 We use it with blood, bone marrow and FFPE samples with Abbott probes. Everyone in the lab likes it because of its ease of use. We apply it to the coverslips using the 100 ml bottle?s adjustable applicator tip instead of loading syringes of rubber cement. ?Since CytoBond does not require humidity we have eliminated the hassle and mess of using wet channel cards on our ThermoBrite instrument. CytoBond stays moist and supple even in Arizona?s dry and arid climate ? no more scraping sealant off piece by piece like we used to do with rubber cement. When we return the next day it comes off easily. We really enjoy it!? I have long been frustrated by dependence on individual hybridization instruments with linked denaturation and hybridization functionality. ?The linear addition of new instruments to meet increased test volume is limited by cost and available bench space. ?Suggesting to SciGene that the solution was to de-couple denaturation and hybridization with a high-capacity, high-precision incubation oven, mated to their CytoBrite hybridization instrument, quickly lead to the development of the CytoBrite Slide Oven. The CytoBrite Slide Oven incubates up to 60 slides in 6-slide hybridization trays transferred directly from the CytoBrite instrument following denaturation. Slides can also be transferred from HyBrite and ThermoBrite instruments. This frees the denaturation instruments for additional runs. The trays fit mated heat blocks on five pull-out shelves, facilitating rapid transfer of multiple slides with negligible temperature disruption. Precision (temperature regulation to ? 0.2?C) is excellent, and the use of CytoBond Coverslip Sealant eliminates the need to humidify the oven. The CytoBrite oven has successfully hybridized the full range of FISH testing, including standard cytogenetic interphase and metaphase preparations, FFPE specimens (breast, lung, lymphoma, sarcoma, etc. ), and fixed intact cell Thin-Prep slides for bladder cancer screening. Probes from the major vendors and representing all FISH strategies (fusion, breakapart, deletion, amplification) have been successfully hybridized. Results have been excellent. We were fortunate to participate in SciGene's Technology Access program for the CytoBrite Slide Incubation System when we were able to compare its performance to both the Hybrite and Thermobrite instruments. We were very pleased to find that the CytoBrite System eliminated a nagging problem we were having with ?spatter? with some probes and samples. My lab reported these results at the 2014 annual meeting of the Association of Genetic Technologies (AGT) in Louisville, KY.? We love the CytoBrite System and now use it on the full range of sample types and probes used in our laboratory including cell lines, bone marrow and paraffin-embedded samples with FISH probes from Abbott, Agilent, Cymogen and Cytocell. In addition to providing consistently better results, we love that we don?t have to fill the CytoBrite System with water absorbent pads since it uses CytoBond Sealant in place of rubber cement; eliminating humidification. Our technicians really, really like the CytoBrite 6-slide carrier which makes it easy to transfer slides in batches rather than one at a time. Another unique feature is the instrument?s front USB port which allows us to easily download a time and temperature datalog for each run. The CytoBrite System has become our GO-TO instrument for processing all paraffin-embedded samples since it is very controlled and provides the tightest temperature regulation of all our instruments. We place our most sensitive samples on the CytoBrite System and use our other instruments for outliers and samples less susceptible to temperature variation. As our samples increase we will likely purchase a companion CytoBrite Slide Oven to transfer slide trays from the CytoBrite System for the overnight probe denaturation step. 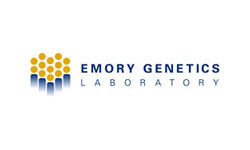 Emory Genetics Laboratory (Atlanta, GA) is a leader in the development and clinical use of microarray-based testing for the identification of chromosomal aberrations in postnatal and prenatal samples. We began offering cytogenetic array testing in 2007 and as our sample volume increased, we looked for ways to automate our workflow to decrease technologist time and ensure test reliability and reproducibility. We researched SciGene?s specialized equipment for array processing and determined it was a good fit for the needs of our laboratory. In 2008, we acquired a Little Dipper from SciGene to automate our post-hybridization slide washing and drying process. We found that the Little Dipper Processor reduced variability between arrays and lowered our labor costs, which allowed us to discontinue all manual washing of microarrays. Our technicians love the machine?s walk-away automation, which improves their ability to multi-task and be more efficient. In addition, and more importantly, the instrument eliminates variability between technologists that can result from differences in technique or experience. We also use the NoZone Workspace in conjunction with the Little Dipper which allows us to protect our arrays from the harmful effects of ozone. We normally limit technologists to processing 8 patient samples at a time to ensure test reliability. In 2010, as our sample volume continued to increase, we investigated additional ways to automate our array processing, opting with the ArrayPrep Target Preparation System from SciGene. Now each technician can process up to 48 patient samples; dramatically increasing our sample processing capacity. Over the years, we have found SciGene to be a responsive supplier of innovative microarray products which has provided excellent support to our laboratory. Since June 2014 our laboratory is using the Cellsprint harvester six days a week, performing two full runs (24 samples) per day without any technical problems. After one-week installing, instruction and training of our laboratory members we have tested the Cellsprint harvester for two weeks. Minimal hands-on time, easy and flexible handling and sometimes even better quality of metaphases compared to manual metaphase preparation satisfied us. The Cellsprint harvester is reliable and standardized and turned out to be great and essential support. So we fully recommend the 24 Cellsprint harvester for supporting your cytogenetical work. Our laboratory has been testing the 24 sample Cellsprint harvester since Junge of 2012. We exluisively tested the harvester on bone marrow and blood probes of hemataological diseases like CLL, MCL, AML, MDS, ALL, and T-PLL among others. Training on the new harvester through a genial genetics engineer was very professional and friendly. We had plenty of time for questions, testing and setting up out protocols. As the handling of the Cellsprint harvester is very easy an flexible, out routine protocols could be assumed quickly. 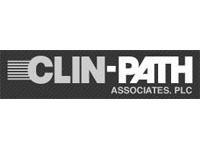 Since our main focus is on chronic lymphpcytic leukemia (CLL) we were very happy to already switch completely to the Cellsprint harvest after one month of parallel testing (manuel harvest versus Cellsprint). Metahalse yield, speading and quality was absolutely comparable, sometimes even better. After some optimization of protocols, also for other disease entities the results were very satisfying. The hands-on time of the Cellsprint harvester is minimal; technicians have now more time for analysis and other duties. Also daily and monthly maintenance are not time-consuming. The Cellsprint harvester is now running nearly 2 1/2 years, 5-6 day a week without any problems. in total we are very pleased with the results of the Cellsprint harvester. We have CellSprint suspension harvester in our laboratory since March 2011 using it daily for harvest of bone marrow and blood cells. The harvester has provided us with improvement of yield and quality of metaphases and with more time for technicians to examine the karyotypes of the cells. The conditions of harvesting are unified and standardized. Our Cytogenetics laboratory has been trialing the 24 sample Cellsprint since the beginning of February 2012. The machine has been run 5-6 days per week, every week since February. On at least 2 days per week, 2 full runs of 24 samples have routinely been run. Initially samples were set up in duplicate, being run on the Cellsprint and the routine manual harvest method. Comparison showed the Cellsprint to regularly have a much higher mitotic index, even in suboptimal blood samples. Comparisons were then run, recording karyotype analysis time from both the manual and automated harvests. There was a reduction of approximately 10% in the time required to fully analyse a patient from the Cellsprint harvests. The Cellsprint performed without any problems and at no stage did we need to contact technical support.